Ford Philippines announced that July retail sales improved 3 percent from the previous month to 2,177 vehicles, led by the Ranger, EcoSport, and Everest. 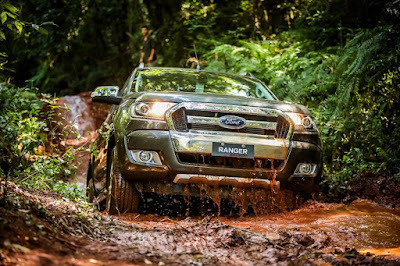 The Ranger remained the top-selling vehicle for the month and delivered its best-ever July with sales increasing 36 percent from the prior year to 1,248 vehicles. Year-to-date sales for the ‘Built Ford Tough’ Ranger have increased 22 percent to 6,718 vehicles. The EcoSport sub-compact SUV recorded sales of 416 vehicles, pushing its year-to-date sales to 3,658 vehicles. Meanwhile, the Everest mid-size SUV contributed to the July total with sales of 410 vehicles, driving its year-to-date sales to 3,588 vehicles. Sales of the new Mustang remained steady in July with 34 vehicles sold for the month, pushing its year-to-date sales up 28 percent to 285 vehicles. “We are off to a great start this second half of the year, with traffic at our Ford showrooms set to become busier through the remainder of 2018 as we continue to refresh our vehicle lineup in the Philippines,” said Bert Lessard, managing director, Ford Philippines.